What Are Some Niches of Animals in the Arctic Tundra? The animals of the Arctic live through freezing weather and manage to find shelter, food and safety, and carve out breeding periods, all in an area where many creatures would surely freeze to death. Though now considered by some scientists to be endangered, polar bears have adapted to their natural habitat in the arctic quite well. The bears rely heavily on seal meat to survive and have a unique way of catching them. A polar bear will wait by air holes dug in the ice for a seal to pop its head up for a breath; the polar bear then kills the animal quickly. Snowy owls are large and beautiful birds of prey that live in the Arctic. 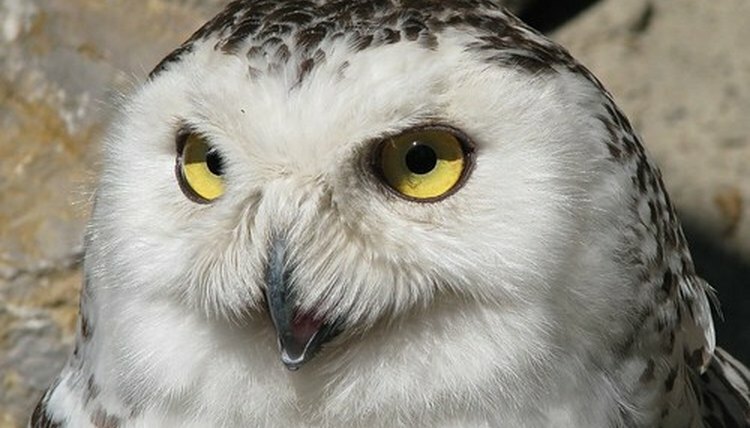 A snowy owl's diet includes lemmings and other small animals. They may even take the occasional Arctic goose or small fox. Lemmings are small mammals that live in large groups. They make their homes under the snow to avoid predation and to protect them from the elements. Lemmings eat grasses, mosses, lichens and seeds. During the harsh Arctic winters, they will eat frozen plant matter. Arctic foxes are small canines that feed on small mammals and birds; they also take carrion when found. When hunting is good, an Arctic fox will bury excess kills in the snow. This works as a freezer for leaner times. Ravens often raid these stockpiles of food. Arctic geese are large and powerful animals. They, like the snowy owls, make their nests on the ground. This makes them vulnerable to attack from arctic foxes. To protect their young, these animals will actually build their nests close to another predator; the snowy owl. The danger from the owls is less than that of the foxes.